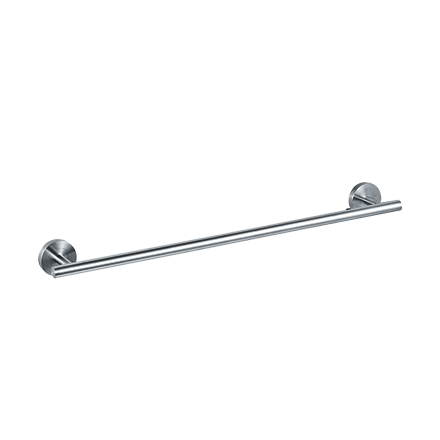 Satin-finish stainless steel tube and posts with round mounting brackets on ends. Extends 2 5/8” (67 mm) from wall. 24” (610 mm) in length, 5/8” (16 mm) DIA. Extends 2 5/8” (67 mm) from wall. 24” (610 mm) in length, 5/8” (16 mm) DIA.